He was motivated to join U4E after working hard in his home nation for four years, and wanted to have an opportunity to grow and learn. We asked Robert to let us know his thoughts on the programme and everything that he’s done so far. What are your next steps now, after 2 years in U4E? My next steps are trying to umpire at the highest level in Austria, as well as getting more experience in international tournaments. 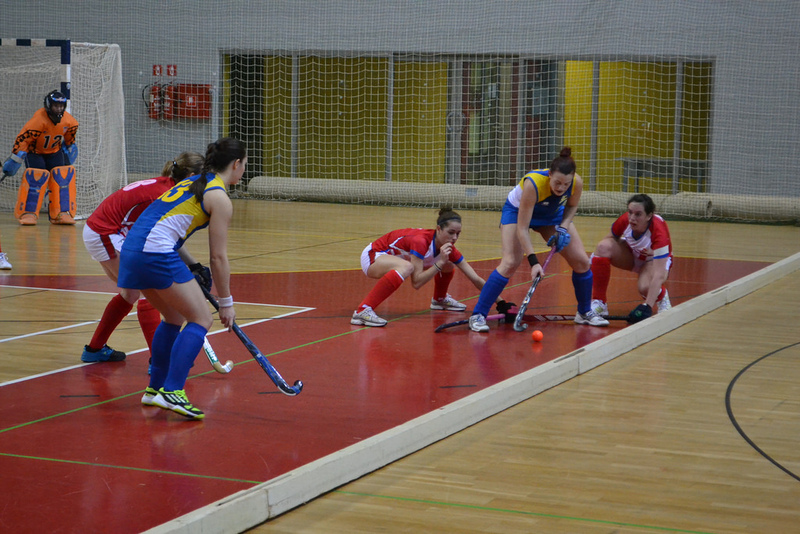 In July 2014 I umpired at the EuroHockey U16 Championship in Vienna and had a lot of fun. I had some positive feedback and learned quite a bit from everyone. How did the Practical weekend in Breda and the webinars help you in your development? Breda was amazing. In Austria, our hockey clubs are quite small, but in the Netherlands is a completely new feeling. We had some great hockey in a very big club with some very good facilities. I learned a lot; having a mentor focus on me personally was fantastic. I also got to meet people from all over Europe and just have a good time while learning. Due to my work commitments, I was able to join one webinar. But I really appreciated it, because it’s a different way of learning and we got some very sound advice. Was it helpful to be given a mentor to work with? Having a mentor is a very important step in umpire development. We really need to have guides who have been through the same things we’ve been through who can help us look at things from a different perspective. The best part was getting a DVD of my performance in Breda with commentary from my U4E mentor. It was extremely useful and I also was able to share it with my Austrian mentor (Thomas Eilmer). What else can you tell us about the U4E programme? It is a great stepping stone for motivated umpires who want to learn and get international exposure. I worked hard at home, joined the U4E and really honed my skills. Now I have joined Group 9 of the UDP (Umpires Development Programme), so my journey continues. I am very thankful to all involved for helping me advance in my career. I can’t wait to see what comes next! The cost of the programme is 250euro per year. If you would like to apply and join the U4E for 2015, get in touch with your National Association to find out how. NextNomination Period for Umpires and Officials for Indoor 2016 is now OPEN!